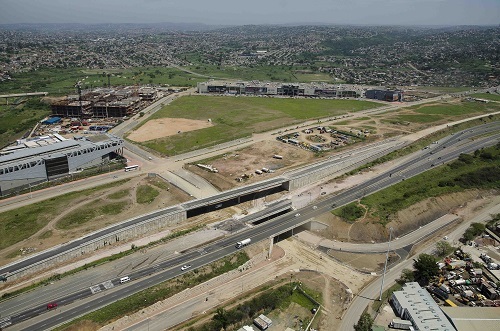 Bridge City showing the half diamond interchange off the M25 giving dedicated access to Bridge City for road users and later this year, for the R20 billion GO!Durban bus rapid transport network (BRT). A number of new developments – including a petrol filling station (PFS)/ retail facility and a mixed-use development to the value of R220 million – are set to begin this month (March 2017). The Environmental Impact Assessment (EIA) for the first phase PFS is underway while the second phase of this mixed-use development, is expected to begin construction towards the end of 2017.